A man's coolness quotient is directly proportional to his car's prowess, but don't put too much pressure on your new mean machine while showing it off to your friends. During the break-in period at least, go easy on the gas pedal - there will be time enough for speeding after the car has found its wheels. The precedent you set during the break-in period will determine your car's performance for a long time to come. For the first 1,500 km, maintain a light touch on the accelerator - this keeps the engine under 3,000 rpm and helps break it in ever-so-gently. Revving up a brand-new car to warm up the engine is a strict no-no. Go for steady increases in speed and climb to a max speed of 80 kmph. Club your errands to avoid taking the car out for frequent short drives, where you tend to accelerate more. Don't leave your car idling for too long because it makes the oil pressure drop and hampers lubrication. To optimise the sensitive element of oil pressure, which is still in a state of flux for the first few weeks, avoid long idling periods. 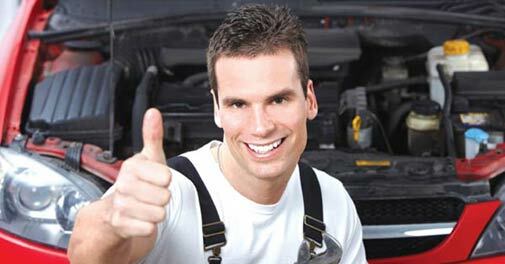 As this is the time to show your car some TLC, don't pile all manner of clunky things into the boot. Make it a point to not tow heavy loads either; it will only put pressure on the drive train and transmission, which are settling in. Be perceptive to changes in the feel of the wheel in your hands. If the car starts sluggishly, vibrates or makes uneasy sounds, it may be time for a trip to the mechanic. Every bump and pothole you go over has an impact on the shocks, bushings and alignments. Worn shocks, in turn, cause the wheel bearing and driveline components to wear out faster, resulting in creaking noises. Replacing the suspension parts every few years can give your car a new lease of life.